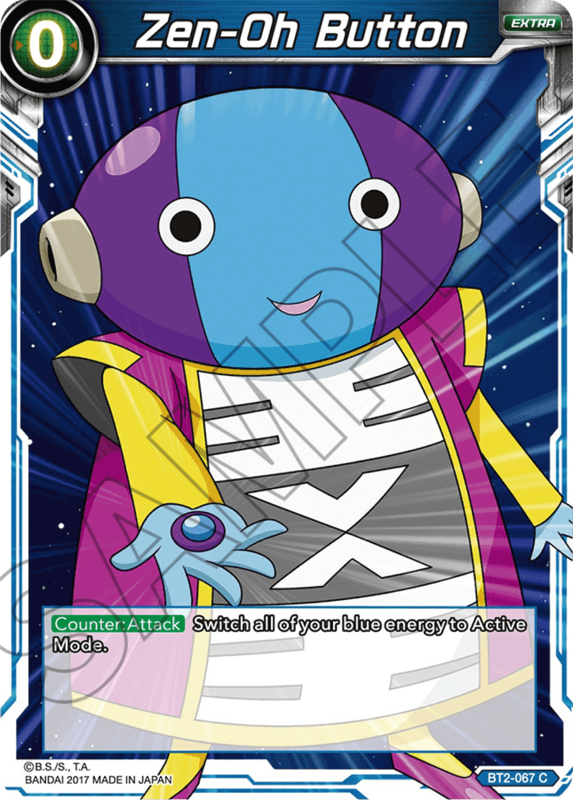 Let’s take a look at a few blue cards from series 2! 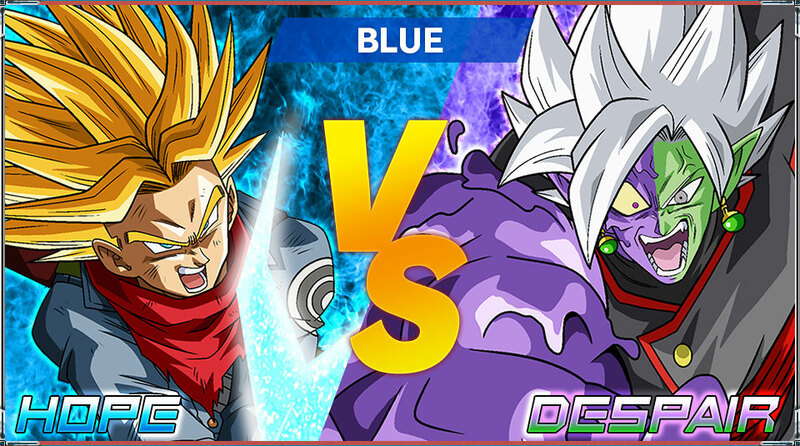 Blue in series 2 is mostly focused on the Future Trunks Saga! 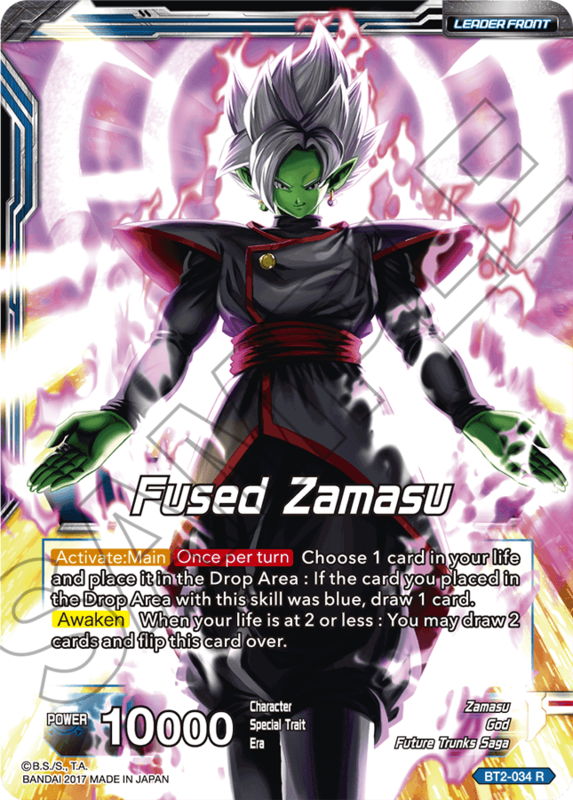 Here’s the previously-announced Leader Card for Fused Zamasu! With a self-sacrificing skill that drains your deck instead of your life, you can keep the aggression going until the very end! 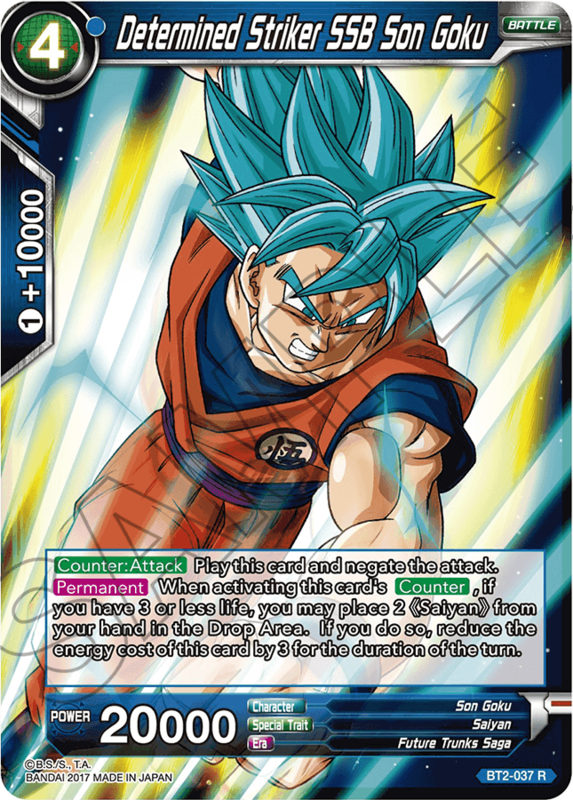 This card has the ability to counter, and can even nullify your opponent’s attacks! The strategies on offer are even more varied than series 1! 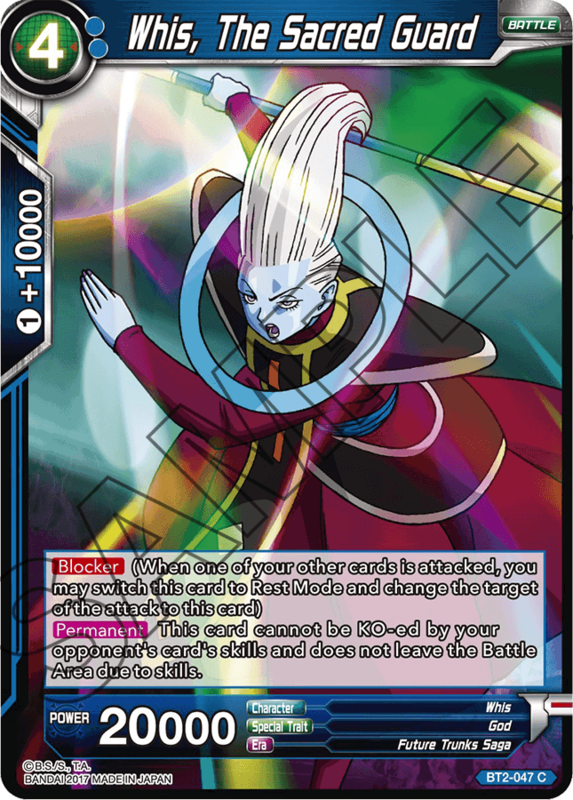 Whis has ironclad defense, with both Blocker and a skill that prevents him from being removed from play! 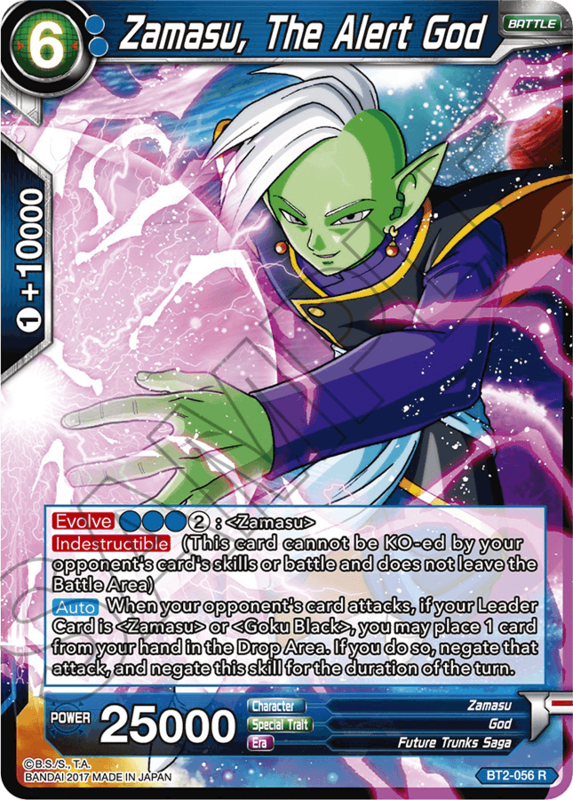 Zamasu has a new keyword skill: Indestructible! 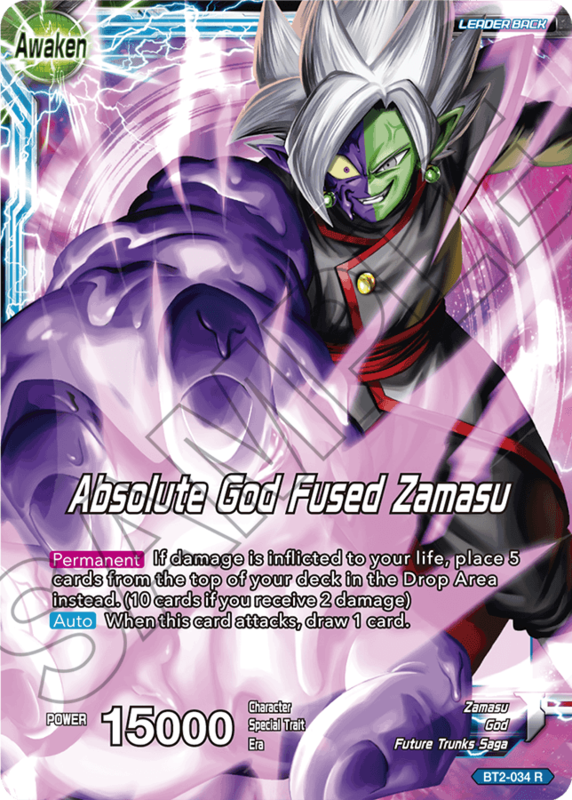 He can also nullify your opponent’s attacks, letting him excel on both offense and defense! Warriors from the “Universe Survival Saga” are joining the fight too! 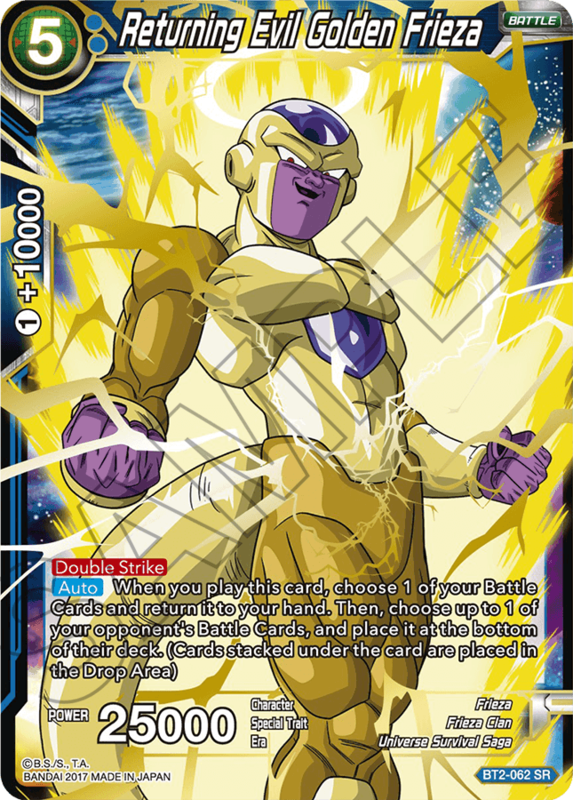 Golden Frieza can manipulate Battle Cards on both your field and your opponent’s, giving you the chance to reuse comes-into-play card effects for combos! While the Zen-Oh Button is a Counter:Attack card that can only be used during your opponent’s turn, the effect is massive, allowing you to reset everything. Just like the Zen-Oh Button in the show! There are even more new cards and skills from series 2 besides these ones!